Resistors restrict the flow of electricity. The power of a resistor is measured in ohms. The more ohms, the less electricity flow. This is basically a resistor that can be turned up or down. They have a range of resistance that they can provide. A master volume knob is typically a potentiometer between the primary amp circuit and the speakers where 0 is enough ohms to completely cut the signal and 10 is the potentiometer completely turned off and providing no resistance. This is almost like a mini battery that releases its charge when full. 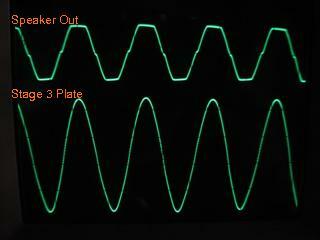 A capacitor can "fill" at a regular rate, which allows them to be used for timers. A capacitor in an effects pedal or a synth would typically be used to smooth out a signal or provide the "pulse" of the audio. A diode is used to make electricity flow only one way down a wire. Diodes are sensitive to heat, so be careful with your soldering iron around these or you will fry them. Also, don't send signal down the wrong direction. That will also fry them. This is a LM386 fuzz pedal. It is extremely cheap to build (you could probably do it for under 10 bucks), and you can buy 100% of the parts from RadioShack (or "ratshack" as it is affectionately referred to by audio hackers), so you don't have to wait around to ship a 3 cent diode from Hong Kong when you inevitably fry one. It will probably take you about an afternoon to build.